Hi everyone! Briana here. I’m still getting settled in my new place, so today’s blog post comes from the lovely Sarina Langer, a dear friend and one of my editing clients. I’ll be back with a brand-new vlog on Friday. Enjoy! Character creation is one of my favourite parts when I plot a new WIP. It’s a bit like meeting new people for the first time, wouldn’t you say? 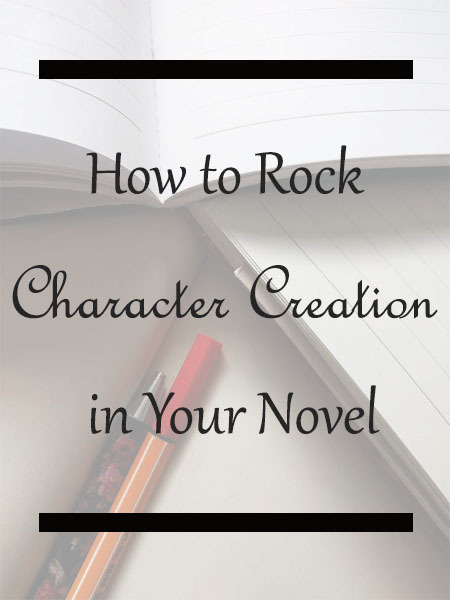 Intriguing, relatable characters ensure your readers will be invested until the very end—but how do you rock your character creation? You’ve probably already heard this a hundred times, right? The reason I’m including it anyway is because it needs to be exploited until there’s nothing left. Or, you can make it a little more complicated. Your MC’s strength (let’s call her Sara) could be unwavering loyalty to her brother and optimism even in the darkest situations. The more complicated your characters are, the more your readers will fall in love. Your readers are just as complicated—all humans are—and we love seeing ourselves in fictional characters! So, our girl Sara has seen her parents die and now hunts for dinner with a bow to keep herself and her brother alive. Losing her brother is a natural fear, but what other fears might this attachment cause? Returning to her childhood home? Losing the necklace her mother left her? Sara’s wants can be simple: survival. But what does her survival look like? Does she want to make a new life somewhere? Does she want to stay on the move? What does she want for her brother? How does she fear she might fail? It’s tempting to write something like ‘Karen, who was Sara’s mum but died when Sara was ten, was still in Sara’s memories’ because the reader needs to know, right? They do, but Sara wouldn’t think this. Sara knows who Karen was. Sara knows how Karen died. She wouldn’t think ‘Karen, my mother who died when I was ten’, she’d think ‘Mum’. So, unless someone asks her directly, she’d have no reason to be this detailed. Honestly, she’d probably try to forget about it. We’ve just decided she’s seen her parents die, after all—pretty traumatising! Your reader definitely needs to know, but in your character’s own time. It’s whenever your character is ready—not when you are ready, or when your reader might be ready. You’d be reserved. You’d say ‘I’m Sara.’ and hope this person you’ve just met moves on. No one ever asks if you have parents, so this new character wouldn’t either unless there’s a good reason—and giving your reader that information isn’t it. Feed your readers info slowly. Let them get to know your characters like they would a real person. If in doubt, ask yourself: does my character say this to teach the reader something, or because it fits with the plot, pacing, and their personality? 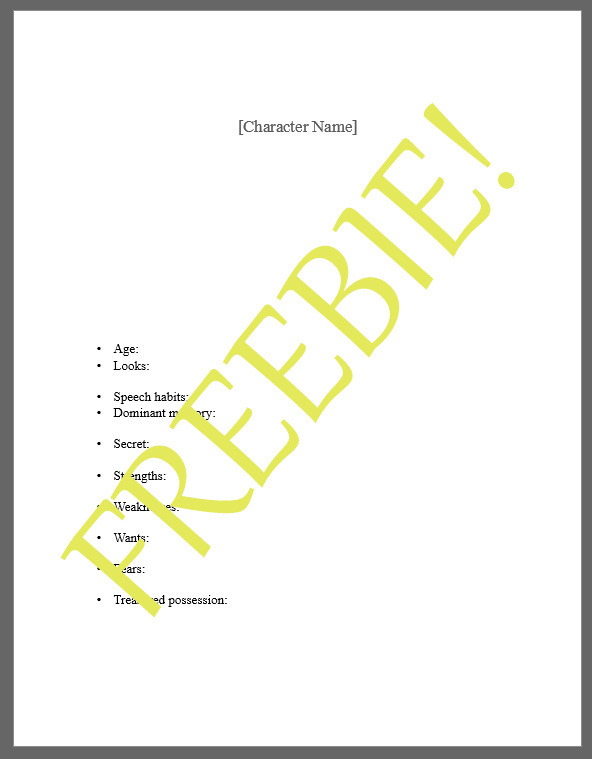 How do you create your characters? Do you have a method, or is there something you struggle with every time? I’ll stick around for a while, so ask away!